A large empty dirt lot sits at the Southwest corner of University High School’s campus in West Los Angeles. It won’t be empty for long. The Westside Family YMCA and LA Unified are set to break ground this summer on a 60,000 square-foot YMCA facility that will serve the community as well as Uni High students through a joint-use agreement. The new two-level structure will mean additional space for the school to enhance physical education requirements and athletic programs. “It gives our students a wider variety of physical education learning environments,” Principal Eric Davidson said in an interview. Davidson said that the school’s gym doesn’t provide enough indoor space for students, but they will have access to the new YMCA gym as the school and the Y develop a schedule to meet the needs of both the community and the students. “It’s a great example of how a community organization and school can link together to provide an opportunity for success of our kids,” he said. 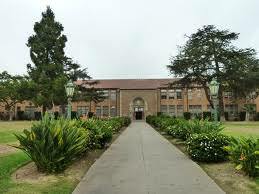 The collaboration began in 2007, leading to a lease agreement with LAUSD in 2009. The YMCA is only $2.5 million short of its $20 million fund-raising goal, with construction expected to be completed by next year. The new Y will double the space of the existing Y, about a mile away. “We outgrew it,” Ann Samson, the Y’s executive director, said of the older building. Samson says the new facility will include a gym, two multi-purpose rooms, a community room, outdoor space on the roof with a walking track and basketball court and a parking structure for 200 cars.